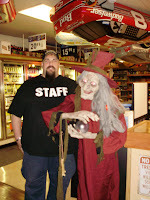 ScareviewZombies.com provided sponsorship and donated Helga the animated witch prop which raised over $375 for Autism. I would like to thank Wendy Ferry for coordinating with me on the 1st annual beef & beer event for autism awareness. All proceeds went to Autism Speaks. for playing Its Halloween a song I wrote and performed his station is giving away prizes all month long as well give them a listen! Are you planning a Halloween Party this year? After all, a Halloween party is considered the traditional beginning of the holiday season. Soon it'll be time for Thanksgiving, Xmas, and New Year's Eve! (where does the time go?) So by following a checklist you can avoid problems and make your party a great success! Make a list of people you want to invite and keeping in mind the Themes, menu, decorations, games; depends on the age group of the guests being invited. Create your list keeping this all in mind. Think about the costume choices before you format your invitations. Do you want the guests to come dressed in a specific theme? Should they come masked? 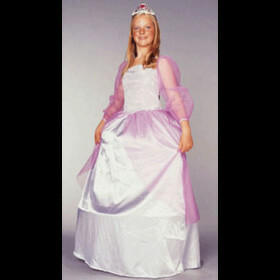 Or will you let your guest decide what costumes they want to be? The Halloween party invitations feature various Halloween themes such as, jack o' lanterns, black cats, bats, Witches and more. There are many places on the Internet where you can print free invitations. Also make sure to send out your invites 2 weeks before your party. Don't wait until the last minute to buy your decorations. Tombstone, Bats, Skeletons, Cobwebs, Banners, Animated Props if within your budget make a great impression with your guests. Stock up on Plates, Cups, Bowls, Fog Machine and Novelty items for grab bags if your party includes kids as prizes. No Halloween is complete without some fun candies! Create a spooky ambiance by playing some haunting tunes. October is finally here and there are only 26 days until Halloween! 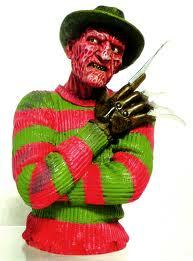 ScareViewZombies has lots of fantastic costumes for the whole family. We are currently offering free shipping on orders $75 or more. visit our website (www.ScareViewZombies.com) for more details. Be social with ScareView on Facebook and Twitter.